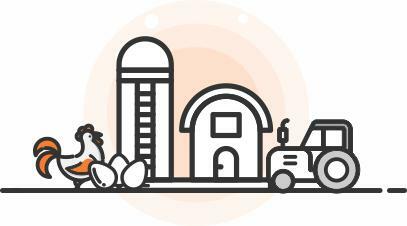 Manage flock performance and egg production planning from breeder. 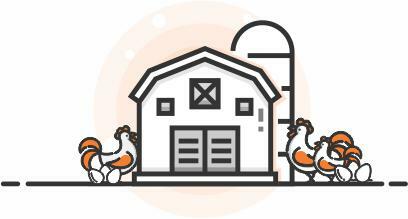 Manage daily transactions and complete cycle daily transactions, egg production and bird sale. Manage purchase of male / female chicks and brooding process start. Capture and analyze commercial eggs, cracked eggs. 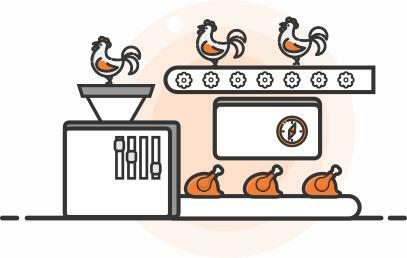 Manages all 21 days life cycle of hatchery operations from setting to hatching. 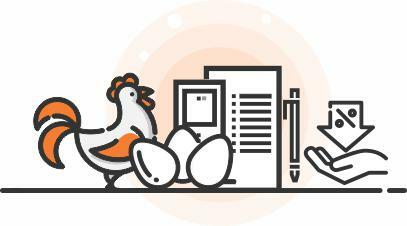 No calculations and calendars are required for your hatchery manager. Delivers you complete egg placement planning report. System keeps track of a flock From breeder to hatchery. Facility to manage branch wise scheme with branch performance comparison against scheme. Manage agreements and all required documents for the same in single repository. Enter any data only once and it will be used across all modules and calculations. Poultry meat processing is initiated by hanging, or shackling, the birds to a processing line. Birds are transferred from coops or transport cages to a dark room where they are hung upside down from shackles attached to an automated line. After stunning, the birds are passed through an automated knife that makes an incision on the neck to cut the major blood vessels in the neck. With the carcass hanging upside down and the major.. Manage your raw material rate like maize etcon daily basis, send confirmation SMS to confirm the deal. Monitor and control quality of raw material and finished product, set as many parameters as moisture, size etc. Complete sampling process covered. Set approvals for purchase, sale, material inward, material rejection etc. It’s a comprehensive solution that helps you collaborate better and manage the complexity of planning profitable promotions across multiple channels. Our solutions are designed to understand the preferences and behavior of your customers, create ..